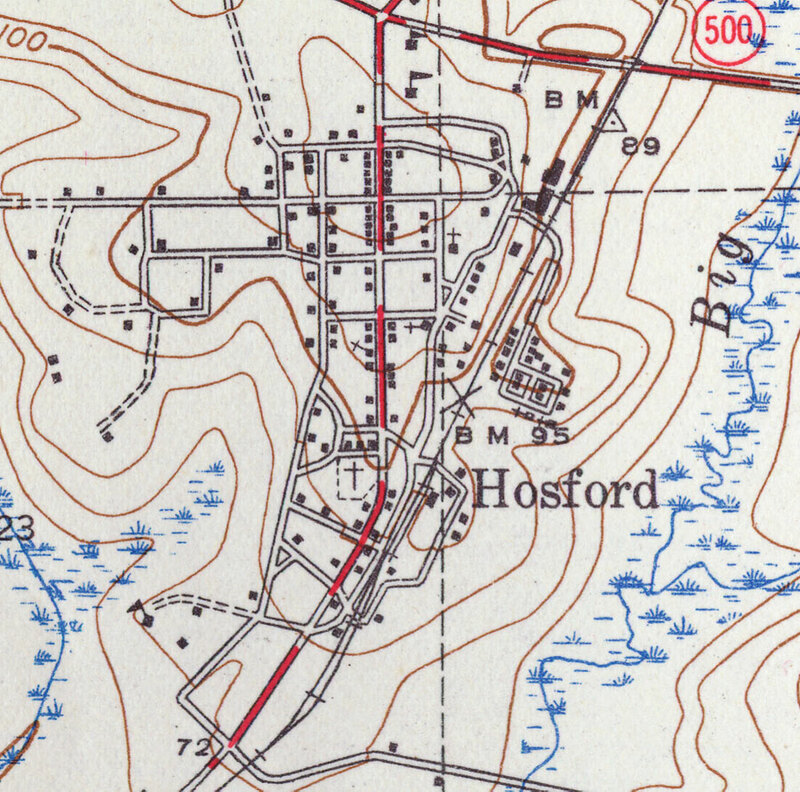 Description: This is a map of Hosford in Liberty County, Florida. It shows elevation, roads, railroads, inland waters and locations of dwellings, churches, schools and more. Detail view from a United States Geological Survey map. Key to USGS maps.